Do you have some old t-shirts you just can’t part with? 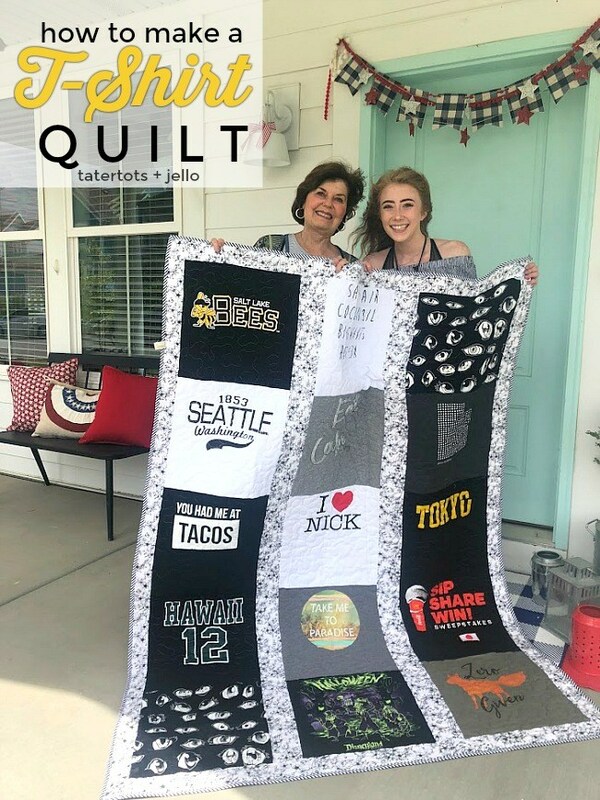 Well, you can take those treasured t-shirts and make them into a meaningful quilt that can be treasured always. Check out How to Make a T-Shirt Quilt over at Tatertots and Jello. It’s a fun craft to do with your teen or teenage. You can even give it to them as a gift!